The week of #AcaOpen is here and we’re gearing up for an incredible weekend in a cappella. 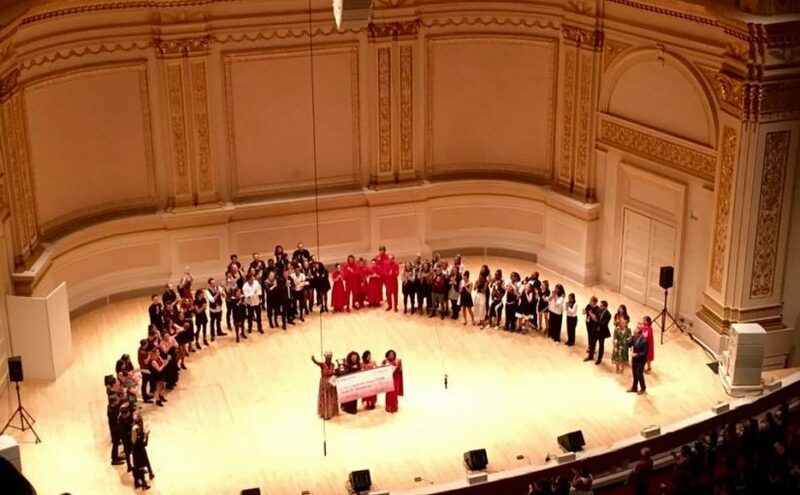 The Finalists will fill Carnegie Hall on Saturday, September 22nd with the sweet sounds of a cappella and one will walk away with the $25,000 prize. Tickets are still available – See the action in person. Current National Harmony Sweepstakes Champions and certainly a force to be reckoned with. With a deep repertoire of originals and unique covers, their sense of brand is as strong as their stage game. Bringing together performers from UCLA and CSUN these 13 singers were inspired by the first year of the Open to give it a shot themselves. They earned a shot at the Wild Card after placing second to HIVE – we think the talent pool in California runs deep. What do you get when you pull from a top notch collegiate group and students at Peabody Conservatory and THEN add some handpick specialty talent? Oh, and then debut a full set of stellar originals? The hottest thing to come out of Baltimore since Old Bay. Five superstar voices. Personality for days. If you’re in the audience live, you might just catch the talent that spills out of them on stage. Only three members and first performed as Iris on the semifinal stage at Berklee College of Music and they walked away the winner and also took home Outstanding Arrangement and Outstanding Vocal Percussion. So new that there’s no trace of them online – this may be the very best kind of a cappella witchcraft. Founder Rob Dietz taps into to some serious scholastic talent with this high school community group. This will be the group’s second appearance in the Open, representing Southern California in last year’s inaugural event. Another new group – this one full of ICHSA and ICCA all-stars, many of whom are already making huge strides as young and rising pop stars. Can they use their former success to guide them to the big prize? After taking 4th place in the ICCA Finals, RISE will return for another shot at the top. They make their own rules and they are clearly ready for more. This sextet is just getting warmed up. Largely unknown outside of the UK – making their US debut on none other than Carnegie Hall feels like a good start.